Are you a Current Counselor or Alumni Counselor and want to help camp? Get started today by participating in the 2018 Counselor Challenge! The funds you raise with the help of family and friends will help send a child to one of your favorite places on earth. 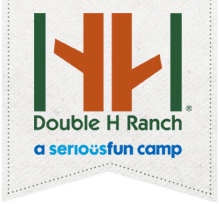 Double H Ranch! If you need assistance, please contact Kyle Azzara, Development and Events Assistant, at 518-696-5676 x227 or e-mail kazzara@doublehranch.org.